Sara Wanderlust: Dominos #DTopSecret is out! Psst! Have you guys heard? The secret is officially out! 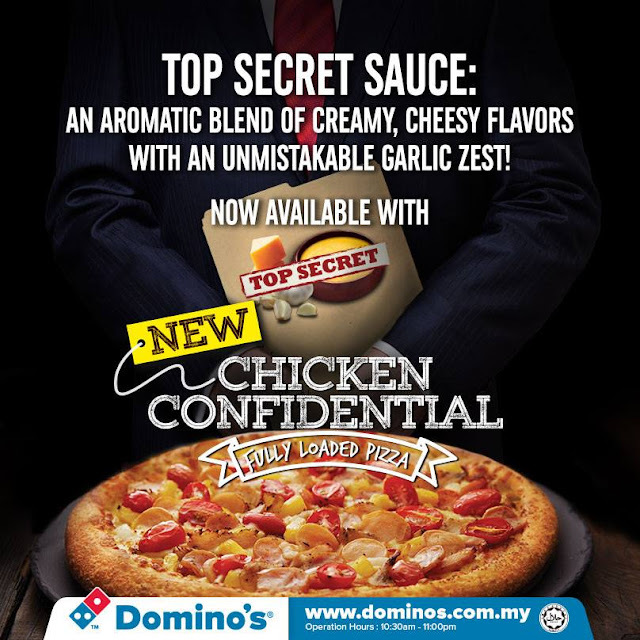 Domino's has finally revealed their #DTopSecret menu and is finally available nationwide! 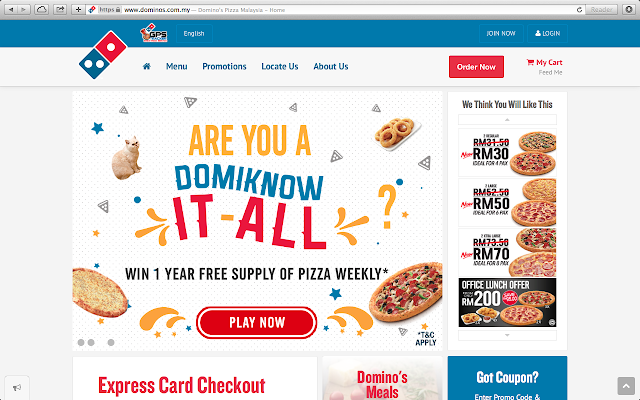 I dont know about you, but Domino's has always been a favourite of mine, because their variety of pizza is getting crazier and crazier (in a good way of course) hehe. In their #DTopSecret menu, they have 3 flavours out which you HAVE to try in order to know how good it is! They have it flavoured in Vegie Fiesta, Chicken Confidential and Classified Chicken, but if you ask me, the highlight was definitely the Chicken Confidential, which was a privilege to be able be among the few who got to try it out before its even launched. Thanks Dominos! If you have been keeping up with my Instagram or Facebook, then you might have known that i managed to tried their #DTopSecret menu a few days ago. What did i think about it? It was mouth watering, and served in one of the best sauce's i've ever tasted. Theres chunks of cherry tomato's, pinapple, chicken sausage slices, chunks of chicken, and the base was was not your usual tomato sauce. Im not too sure what the secret sauce is, but im loving it! And i really have to agree with Domino's that their Pizza's are always served Fully Loaded! 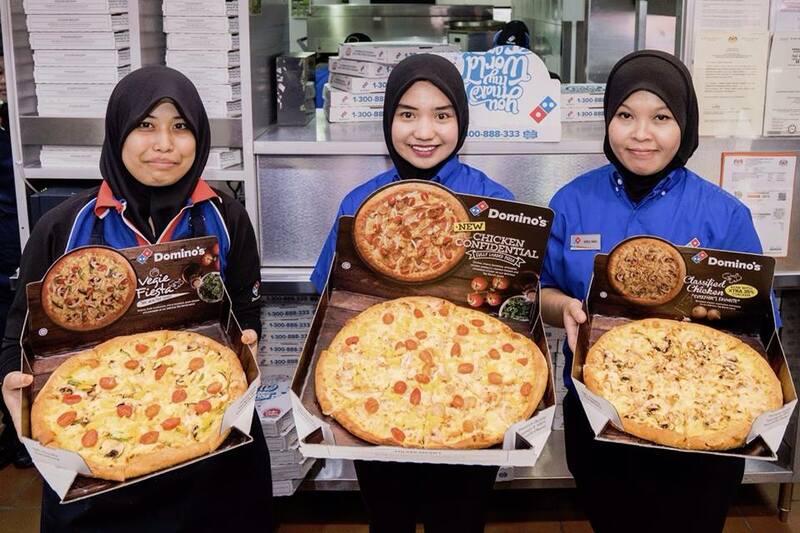 So are you ready to taste the evolution of Domino's Pizza? Cause if you are, you better start ordering yours today! 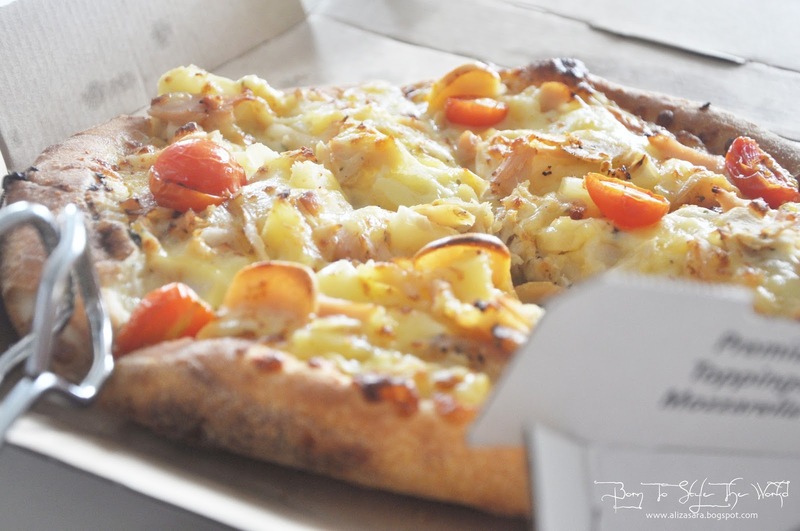 What i love about their Chicken Confidential is that their combination of toppings compliments each other perfectly! I love the fact that it has a tangy, sweet, and sour combination. Each bites feels like a party in your mouth. Hehe. Personally i think the secret sauce taste like a combo of mayonnaise and cheese, but it may not be it. GAH! Did you know that Dominos has also upgraded their Official Website? It now has a fresher look with better deals to satisfy your cravings and savings. haha. Oh gosh, it rhymes! But i would like to emphasise more on their combo deals which im sure you'd be interested. 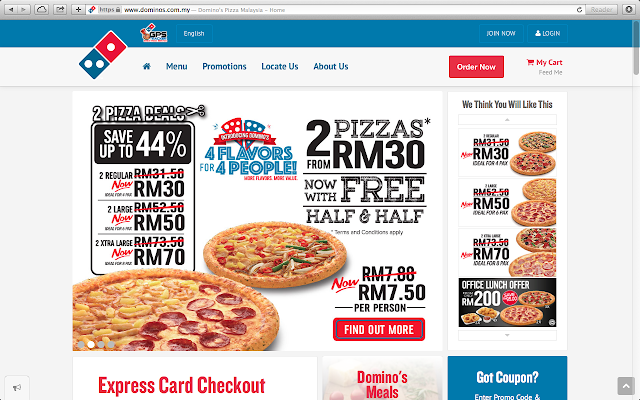 I present to you their pizza combo deals, where they have reduced the price, JUST FOR YOU. So yay to more savings, and yay to more pizza movie nights. hehe. Im fascinated with the fact that they have this Half & Half option to satisfy everyones tastebuds. 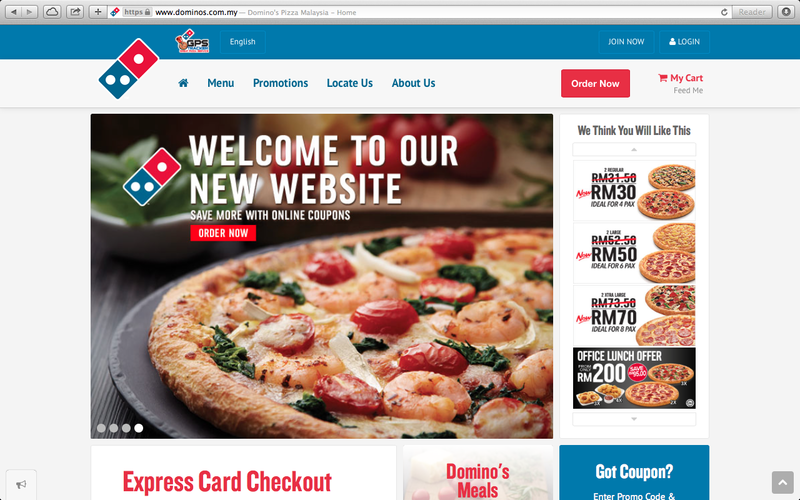 No more arguing about what flavour to order, cause dominos has solved it for you. So now, the exciting part of this blog post, I'll be giving away a pair of tickets to attend the private screening of Spectre happening on the 6th of November! Woohoo! But of course, there will be a few things that i would want you to do. Will you be the lucky few? All you need to do to win a pair of tickets to watch Spectre on the 6th of November 2015 would be to post your most creative secret agent post and hashtag #DTopSecret and tag my Instagram account @alizasara. And you could already be winning yourself to a private screening! What are you waiting for? 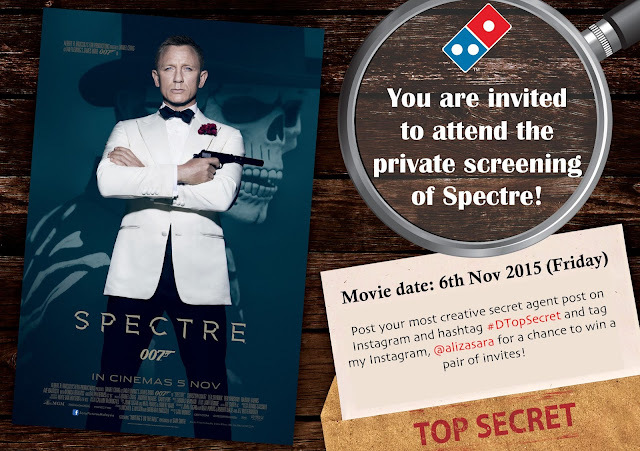 Better snap your photo and you could be getting a chance to watch Spectre! YAS! Challenge yourself to win a year supply of Domino's Pizza. Submit as many entries as you like on your Instagram platform, and the most creative entry will win! But if you dont, you can always join the Domino's "Are you A Domiknow It-All" Challenge to possibly win yourself a year supply of pizza?! Try your luck and be one of the fastest contestant to answer all their questions right. You can join by clicking here. Om nom nom. 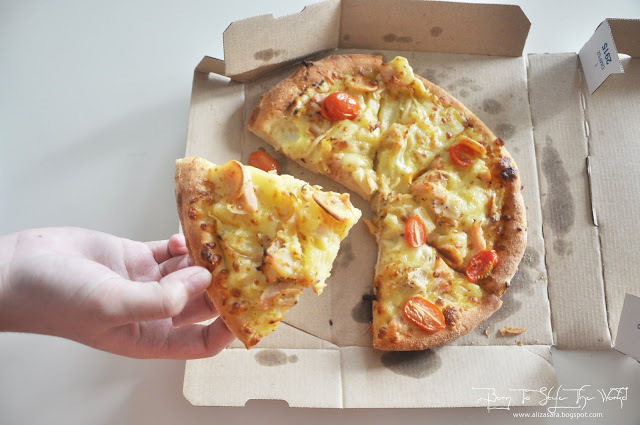 Pizza + movies sounds pretty good right now. pizza!!! now u make me crave for domino's pizza. *drool* should i order now? lol. now you make me hungry, babe! 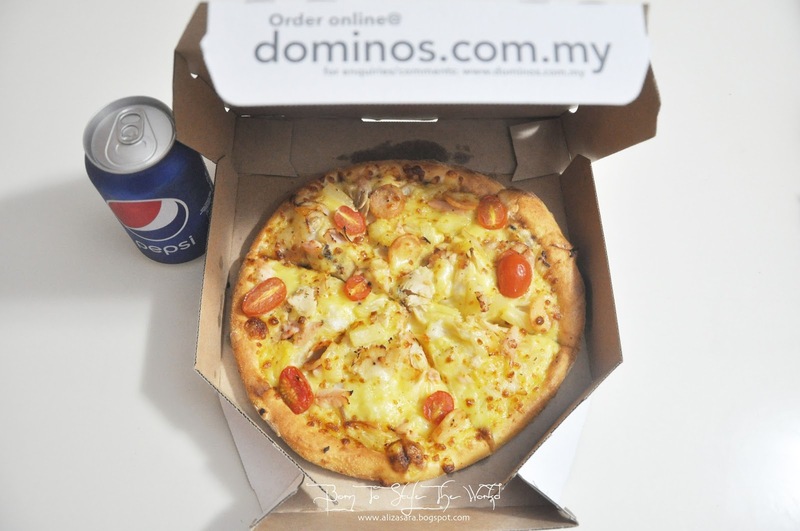 i always prefer dominos to other brands because of their yummy topping :) gonna check out dtopsecret soon! so late now and reading this post makes me go hungry. No kidding I have been putting on weight due to makan malam. Ok peep. We will be having Chicken Confidential for lunch today. Nice one, so far, one of 2 brands that actually have the choice of not putting any cheese on their pizza which is fantastic. Yummy! We always order Pizzas coz the whole family likes it. I love pizza! Best best best.. Wanna eat now..